Taking personal control of your Roth IRA investing and investment decisions seems intimidating at first glance. The sheer number of questions you face are daunting. For example, what are the investing options at your disposal? How do you go about picking individual stocks? You need to know the answers to these questions so that you can make decisions which are suitable to your personal financial position as well as your personal tolerance for risk. But first, make sure you have at least six months of living expenses tucked away so you can commit to a long-term retirement planning strategy. Also, don't make any Roth IRA investment decisions which cause you to lose sleep at night. It may sound simple, but if you're scared silly by the prospect of losing everything in the stock market, avoid a lot of unwarranted stress by simply not investing in the stock market. 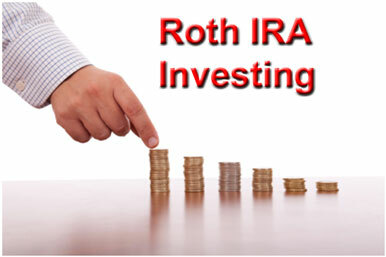 So, that said... What are your Roth IRA investing options? While this list is far from comprehensive, generally speaking, it covers the most common investment options for a Roth IRA. Once you have an idea of what you want to invest in, keeping a lid on management fees and trading costs is an absolute must if you want to maximize your retirement savings. The IRS limits your maximum annual contribution to somewhere between $5,000 and $6,000 depending on your age and income. If your annual contribution is $5,000, then spending an extra $100 on trading costs or management fees means that 2% of your contribution is exiting your account on daily basis. It can't grow tax free for your retirement years! So make sure you maintain a vigilant stance toward unnecessary Roth IRA fees. Before you decide what to invest in and how, you need to ask yourself a series of questions. Are you already familiar with the stock market? Will you be able to sleep at night given the volatility of the markets? Do you have a certain level of comfort investing in one asset class over another? Perhaps you have an intimate familiarity with commodities due to your current job and you think this gives you special insight into the world of commodity investing... If that's the case, feel free to buy commodities with your Roth IRA. Don't invest in mutual funds just because that's what you think you should do. As a general rule, it's a good idea to stick with what you know best. Regardless of the investment choices you make, you need to choose investments which can realistically help you achieve your financial goals. For instance, if a comfortable retirement requires you receive a 6% annual compound rate of return on your Roth IRA investment portfolio, then you probably don't want to invest your entire account in U.S. Treasuries yielding 2% annually, even if you consider yourself an ultra-conservative investor. So before choosing an investment, take a look at some Roth IRA calculators to help determine the annual rate-of-return you need to achieve in order to meet your financial goals. Remember, your Roth IRA is a long-term commitment. If you want to grow your savings into a large nest egg by retirement, you need to do more than simply receive a return of a few percentage points each year. You need to receive a return of a few percentage points each year plus inflation. This is a key point to remember, because if your Roth IRA investment returns can't outpace inflation, then your investment principal becomes worth less and less over time. You don't want a worthless Roth IRA, do you? You want your money to be worth more and more! That's why most people (including me) put their Roth IRA funds where we know we can beat inflation over the long-term. 2) You can make your own individual stock market investment decisions. You should only choose the second option if you're dedicated to investing the time and energy necessary to properly inform yourself on your investment options. Mutual funds and index funds. Mutual funds are actively-managed investment pools with multiple investors which are managed by an investment professional. Most mutual funds have a stated goal or an investment theme denoting the focus of their investment strategy. For instance, a "large cap" mutual fund concentrates its investments in the largest publicly traded companies as measured by market capitalization, while a "small cap" mutual fund concentrates its investments on the smaller publicly traded companies as measured by market capitalization. Mutual funds also charge management fees (and sometimes other fees) depending on the individual fund. Index funds are non-actively managed investment pools which attempt to mimic the investment performance of a market index such as the Dow Jones Industrial Average or the S&P 500. But the good thing is they shouldn't underperform them either. Another benefit of index funds is that the fees they charge are generally much lower than those of actively managed mutual funds. If you think you can select a stock portfolio which consistently beats the stock market indices as well as the returns of actively managed funds, then investing in individual stocks is a good route to take with your Roth IRA. Just remember, this is not a decision to be made lightly. Buying and selling individual stocks requires a lot of time and research. And, if you want all that time and research to be worth your while, you need to consistently beat the market averages. And consistently beating the market averages is an elusive goal for mutual fund managers. Those, and other unique obstructions, make beating the market an uphill battle for fund managers. You aren't bound by those constraints. With the proper time, effort, and emotional control, beating the market averages is an obtainable goal for anyone. Invest the time necessary to research your own investments? Learn the fundamentals of the stock market? Learn the basic concepts of running a business? Learn how to evaluate the worth of a business? Follow through on your decisions? Control your emotions when the situation demands it? If you can answer "yes" to each of these questions, then I'll personally guide you through a proven process for beating the stock market averages over long periods of time. If you invest the time and energy now to invest in individual stocks selected in this manner, you'll be much wealthier in retirement. Making your own Roth IRA investment decisions can seem overwhelming at first. But with the proper information and discipline, you'll make far better decisions concerning your own money than a financial salesperson will ever make on your behalf. If you follow my guide to Trading Stocks In A Roth IRA, you won't be disappointed in your long-term market returns. Because I practice what I preach, and my returns are quite satisfactory. But don't take my word for it. 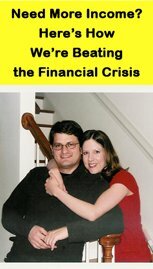 You can examine my track record for making stock market picks in The Motley Fool CAPS Community. My username is "gilletbd77". My success in The Motley Fool CAPS Community perfectly illustrates that "investing is done best when it's most business-like." But what if you lack the time or motivation to analyze individual stocks? Buy a low fee index fund or ETF for your Roth IRA. Automatically reinvest the dividends every quarter, and your retirement plan is effectively set on autopilot. Such a plan won't beat the market over the long haul, but it guarantees you won't lag it. Regardless of the course you take, assuming control of your own financial future is a necessity in today's world. If you don't look out for yourself, odds are that no one else will. So take the time to examine your options and make the best decision for you.